Puppies and kittens need to receive essential pet vaccinations to protect them from highly contagious and dangerous diseases. Their growing bodies are especially susceptible to bacterial and viral infection since they’re still building immunities and vaccines provide the boosters they need to ensure their health. Adult pets must stay updated with either one or three-year maintenance boosters. Some vaccinations, like rabies, are considered “core” by the greater veterinary community. Due to our commitment to the highest safety standards for our patients in Pasadena and all pets, staying up-to-date on core vaccines is a requirement at our practice. Some pets have lifestyles that put them at risk for infection from other diseases, and we recommend protection from these on a case-by-case basis. We consider many pet vaccinations “core” for good reason. Diseases like parvovirus is potentially lethal in unvaccinated dogs, poses the most risk to puppies, and requires isolation. Through continual vaccination from feline panleukopenia, the contagious and resistant virus has been mostly contained in the cat population. The distemper vaccine protects dogs against four diseases with one dose. We offer either one or three-year rabies protection. The feline distemper vaccine protects against three diseases with one dose. Since our location is in the Northeast, close to the Chesapeake Bay, our doctor recommends protection against Lyme disease. Dogs who will be boarding, attending doggy daycare, or are living in multi-dog households should receive protection against adenovirus, Bordetella, and parainfluenza. Due to canine influenza outbreaks, vaccination against this upper respiratory virus should be given if your dog socializes with other dogs. If your cat goes outside or lives in a multi-cat household with other cats who go outside, they should receive protection against feline immunodeficiency virus (FIV) and feline leukemia (FELV). 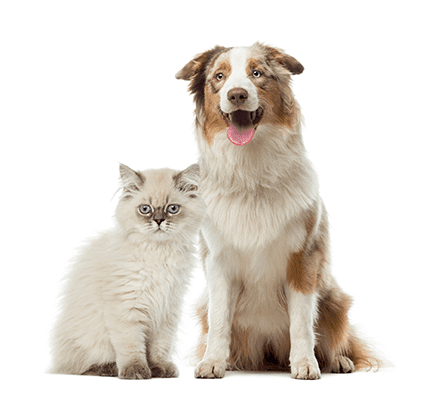 For more information about vaccinating your cat or dog, please contact us. We’re happy to help keep your pet healthy. Schedule an appointment today! The compassion, making each individual feel special and attention to detail is beyond amazing!